Route 1. Fenettre D’Arpette. The highest pass of the TMB at 2665m and a tough climb up a valley and rocky slopes to reach the pass – reckoned by many to be the hardest part of the TMB. But splendid views of the nearby Glacier Du Trient as you descend the valley on the opposite side make the effort worthwhile. 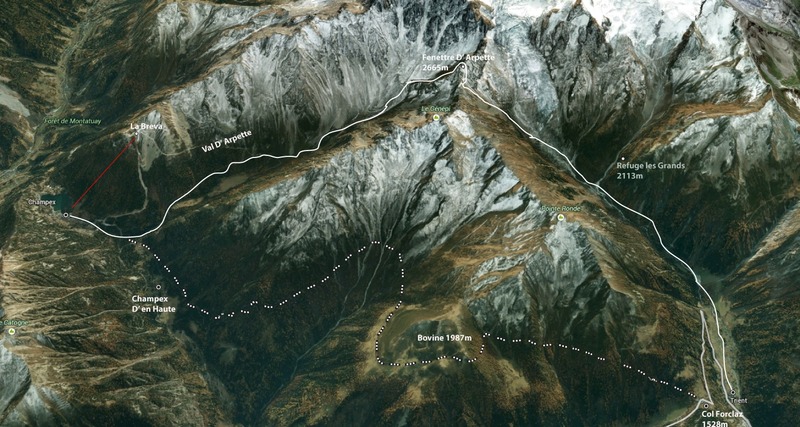 Route 2 – Alp Bovine.This part of the trail passes neat meadows, forests and high alpine pastures up to the simple alp building of the working dairy farm Bovine that overlooks the Rhône Valley. 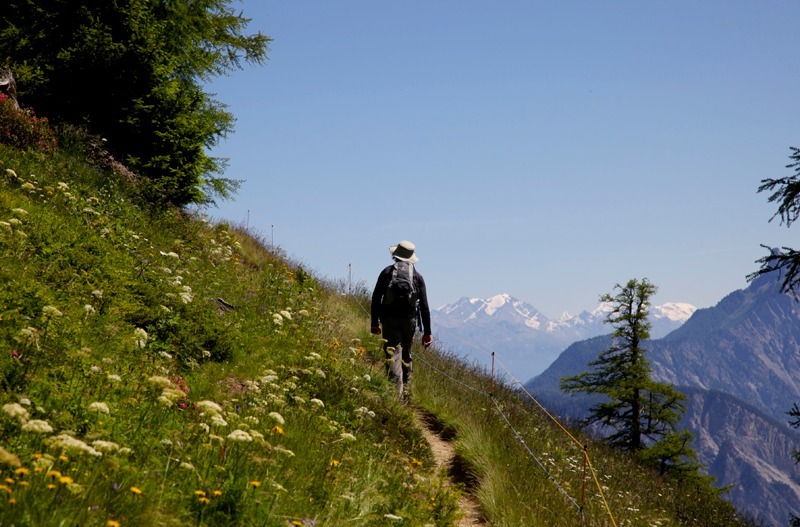 Take a moment to enjoy spectacular views across to the Bernese Alps before a very pleasant and mostly downhill woodland walk that will take you to Col de La Forclaz.